It’s foggy and cool today, and so I’m working on a perfect indoor task — updating my two previous posts on the webcams around Monterey Bay (they change regularly). The one’s listed here are mostly for kayakers, paddleboarders, some boaters and coast walkers. (Surfers, sailors and fishers are usually looking for different conditions and views.) For this update I’m starting in Monterey, then looking a bit south to Carmel, and finishing with views north toward Santa Cruz. The best live cam view of the Monterey Harbor, Custom House Plaza, Fisherman’s Wharf I & II and Coast Guard breakwater is from the roof of the Portola Hotel in downtown. The most awesome cam view of southern Monterey Bay for kayakers and boaters is from atop A Taste of Monterey along Cannery Row. 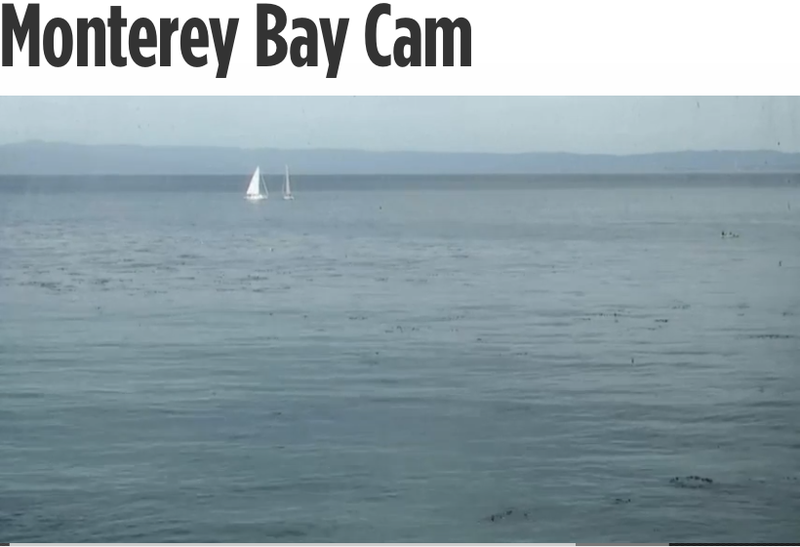 The cam scans the water from the Intercontinental Hotel to A Taste of Monterey. This is my go-to cam before I go kayaking. Just down Cannery Row is the Monterey Bay Aquarium with several live webcams. 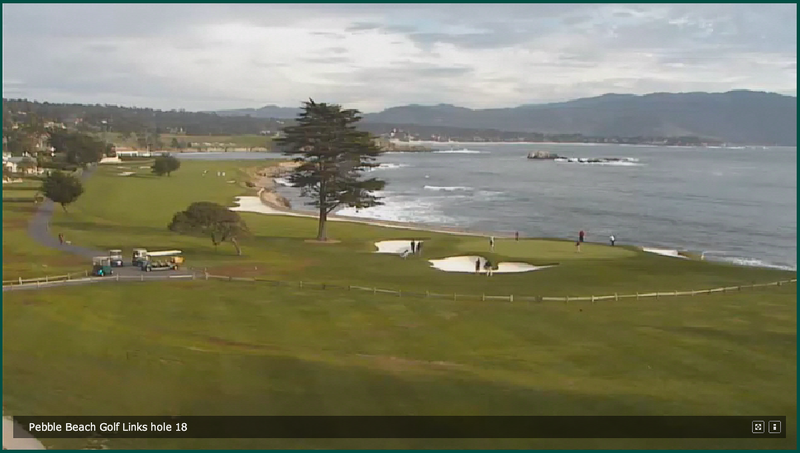 Most are focused on the inside exhibits, but the Monterey Bay Cam is on the bay. It’s promoted as a live cam, but at night it’s too dark to see anything, and sometimes I’m not sure if I’m watching a live feed or a video loop. However, when it’s live the location is perfect for viewing cormorant-covered rocks and the waters just off the Aquarium. And you can’t beat the views from webcams of what’s inside. In Carmel there’s the unpretentious Carmel ClamCam. The website has a few ads and a mollusc shell backdrop. I know nothing about the site except that it offers a view of Carmel Beach, the area’s iconic dog beach, and no one else does. Turning north past Monterey along the Monterey Bay coastline, the best mid-bay webcam is at Moss Landing, a lovely working harbor and town, and home to the Monterey Bay Aquarium Research Institute (MBARI), a premier ocean research center, and to Elkhorn Slough, the second largest tidal salt marsh along the California coast. The webcam is SeaOtters.com’s Live Sea Otter Cam. It offers changing views of the harbor with colonies of sea otters, harbor seals and sea lions, plus shorebirds. 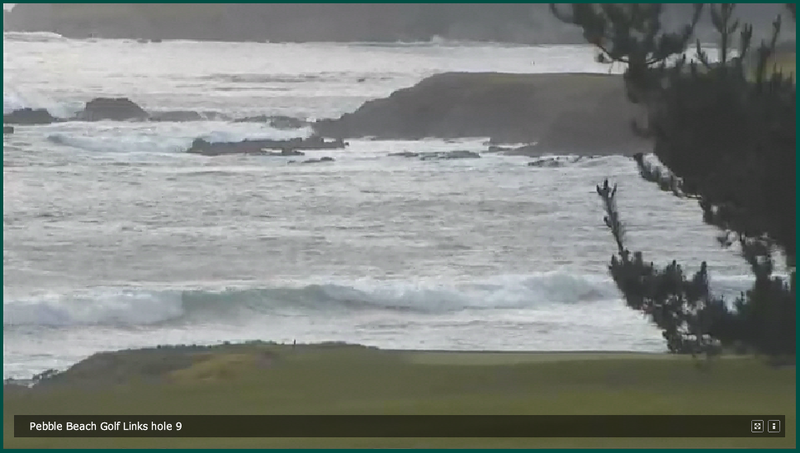 Unfortunately, this cam regularly catches people in the act of harassing marine mammals. The kayakers in this shot are getting really close to resting sea otters. The general rule of thumb is if the animals’ behavior is not changed by your presence, you’re okay. When a sea otter or harbor seal looks your way and moves away, you’re too close. Not only is harassment rude and stressful to wild animals, it’s also against the law. It’s recommended that if you witness any harassment of marine mammals in progress, report it to CalTIP at 1-888-334-2258 or NOAA at 1-800-853-1964. The Elkhorn Slough Foundation and Elkhorn Slough National Estuarine Research Reserve offer two webcams with varying views at secret spots. You never know what you’ll see. As I write this, Cam 1 is on a Western gull on a wind-blown nest and Cam 2 is scanning the slough’s tidal creeks. No otters today, but I’ve had very close cam encounters with them in the past. And if there’s nothing to see, there are video highlights. North of Moss Landing, heading toward Santa Cruz, is a great Capitola beach view. From here you can watch the surf and surfers, and on a clear day, see all the way to Monterey. This webcam (and the one of Monterey Harbor) are brought to you by HDOnTap, which has live webcams that are pretty consistent as showing amazing views from around the country (like Donner Lake dusted with snow or an osprey nest on the Chesapeake). So, if you can’t get outside, or are preparing to go out, take a virtual look. At the north end of Monterey Bay is Santa Cruz. The Santa Cruz Harbor Beach Cam offers the only non-surfing shots I’ve found for Santa Cruz. As of this writing, the camera feeds were down because new cameras are being installed. Hopefully soon we’ll get to see the north’s (and warmer end of the bay) weather, water conditions and summer beach crowds. Whether you want to visit Monterey Bay vicariously, or you’re visiting and want to know what’s outside today, I hope you find these eyes on the bay enjoyable and useful. Once you’ve had your fill of virtual views, get outside to see the real thing wherever you are. This entry was posted in California coastline, Elkhorn Slough, Monterey Bay, Santa Cruz and tagged Elkhorn Slough, Monterey Bay, sea kayaking. Bookmark the permalink.